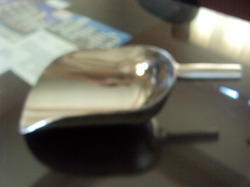 We are one of the leading organizations engaged in offering the best-in-class Stainless Steel Scoop. These products are manufactured by making use of high-grade SS 304 & 316, procured from the established vendors of the industry. Owing to below cited attributes, these products are perfect to be used at restaurants, hotels, ice-cream parlors and many more. 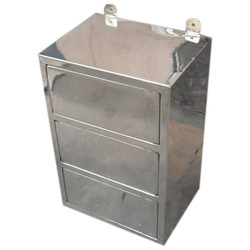 With the support of our team, we have been able to provide our valued clients with the best-in-class Stainless Steel Scoop Box. 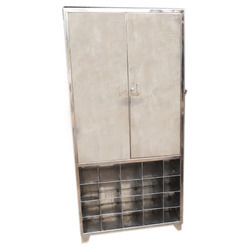 Our team members manufacture these boxes using supreme quality stainless steel and advent technology at sound production unit. These boxes are designed in line with the prevailing market trends and clients' requirements. 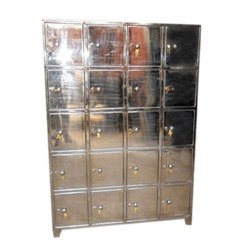 Keeping in mind multifarious requirements of the customers, we offer these boxes in different sizes and designs. 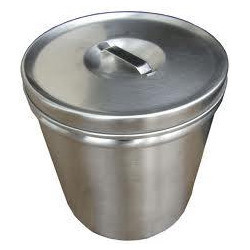 Backed by profound experience of this discipline, we have been able to provide our valued customers with Stainless Steel Containers. Developed with latest technology, these containers are provided with wheels capacity of 250 ltrs that is supplied to the clients at market leading prices. We manufacturing and supplying a wide range of Sterile Drain Trap. Our traps are manufactured from finest quality components and following world class standards. Made in compliance with industry standards, these are easy to use and clean. These are used for drainage of floor areas and are available in different sizes. These are highly efficient and cost effective. 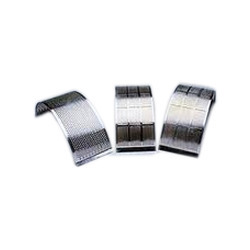 We are leading manufacturer and supplier of Stainless Steel Pulverizer Mesh, made by high grade raw material. 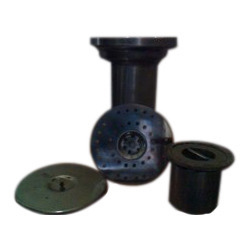 These pulverizes are manufactured in accord with the global standards and norms using better quality raw material. These are obtainable in a variety of technical specifications that can be modified as per the necessities of the customers. Looking for Pharmaceutical Utilities ?